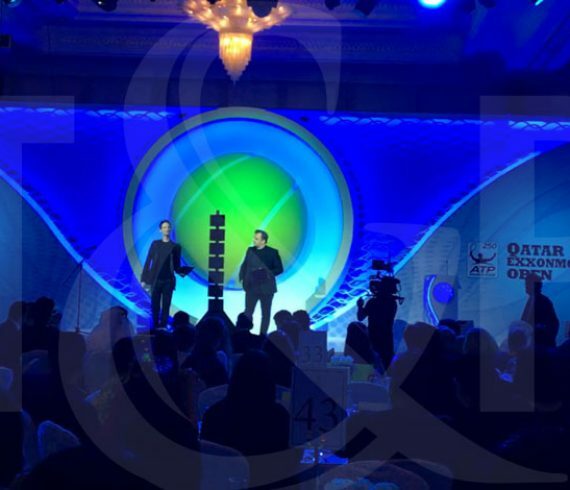 Our digital magicians presented their show during the Qatar Exxonmobil gala dinner. For about 15 minutes they wowed audience members by playing around with drones and revealing objects from screens. Digital magic is definitely the entertainment to go for any of your gala evening. Talents & Productions was just at the Congress Zentrum Alpbach in Austria with some upscale entertainment. The international management convention was organized for a phone company and for this special gala evening the client chose VALERIE INERTIE, our multi-prize winner cyr wheel performer, to be part of their event. The client was thrilled by the performance.